David M. Blitzer is managing director and chairman of the Index Committee with overall responsibility for index security selection, as well as index analysis and management. Prior to becoming Chairman of the Index Committee, Dr. Blitzer was Standard & Poor’s Chief Economist. Before joining Standard & Poor's, he was Corporate Economist at The McGraw-Hill Companies, S&P's parent corporation. Prior to that, he was a Senior Economic Analyst with National Economic Research Associates, Inc. and did consulting work for various government and private sector agencies including the New Jersey Department of Environmental Protection, the National Commission on Materials Policy and Natural Resources Defense Council. 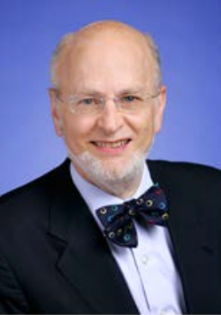 Dr. Blitzer won the 2012 William F. Sharpe Indexing Lifetime Achievement Award. He is the author of Outpacing the Pros: Using Indices to Beat Wall Street’s Savviest Money Managers, (McGraw-Hill, 2001) and What’s the Economy Trying to Tell You? Everyone’s Guide to Understanding and Profiting from the Economy, (McGraw-Hill, 1997). In the year 2000, Dr. Blitzer was named to SmartMoney magazine’s distinguished list of the 30 most influential people in the world of investing, which ranked him seventh, and in the year 1998, Dr. Blitzer, received the Blue Chip Economic Forecasting Award for most accurately predicting the country’s leading economic indicators for four years in a row. A well-known speaker at investing and indexing conferences, He is often quoted in the national business press, including the New York Times, Wall Street Journal, USA Today, Financial Times, and various other financial and industry publications and is frequently heard on local and national television and radio.